A Genuine John Deere #AM115138 Wheel & Tire Assembly. Large 9-in. 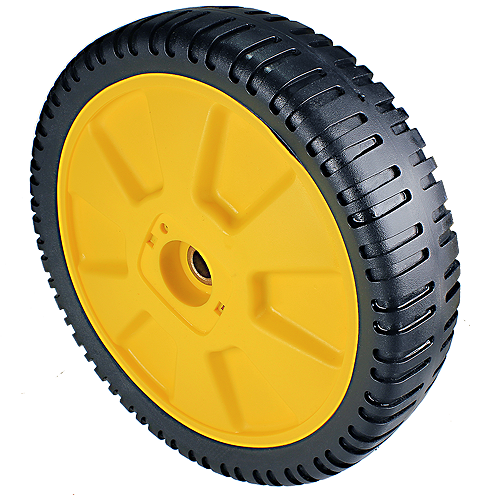 diameter wheel is made of durable, high-impact plastic for long life. It has sealed ball bearings for decreased push and pull effort. Wide 2-1/4-in. Tread provides good traction and straight-forward tracking. Walk behind mower wheel assembly. Includes (1) wheel (tire and rim).